Whether you are looking to build a new dealership, truck garage, transit facility or independent garage, we have the experience and personnel to design, adapt, and execute your vision. 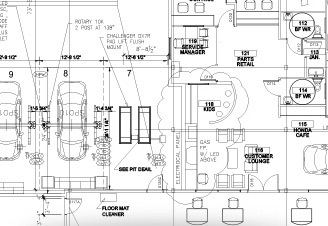 Our ability to produce architectural plans in-house, or to work with your existing blueprints, helps us to arrive at a total package for all of the systems within your plans. Uniquely, we offer a full-package team to deliver and execute your building or redesign plan from start to finish using our own, in house, certified technicians and equipment.